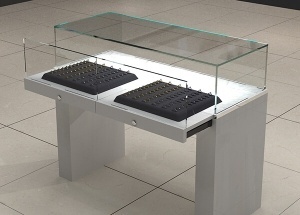 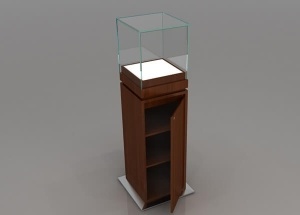 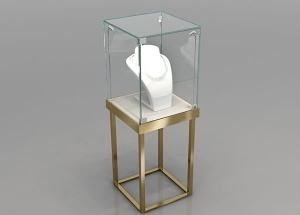 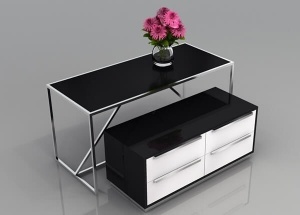 This glass top jewelry store furniture can made without the storage cabinet. 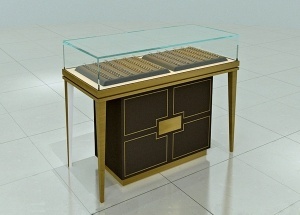 It'is made by wooden(MDF), metal, glass, LED lights, etc. 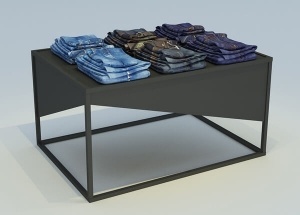 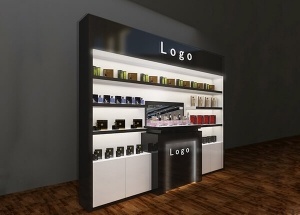 This black white perfume display shelf: laminated deck, acrylic displays, storage with hinged door (can lock), toe-kick, levelers, mirror, storage cabinet, dust resistant, halogen light strip, electrical cord with switch. 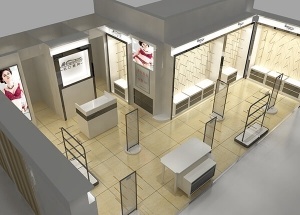 It's used to display perfume, makeup, skin care product, digital product, etc. 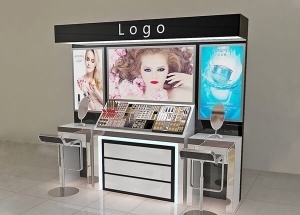 This small makeup kiosk contact a makeup display stand,two display table,3light boxes,2 metal chairs,2 mirror,and makeup acrylic display stands.It is used in shopping mall small makeup kiosk.